Become a guest blog contributor for Happy Lawyer Happy Life! Each week you will hear from one of my fellow enthusiastic bloggers as we further a positive dialogue within the legal community nationwide. You will hear from both happy law students and lawyers on topics around how we can all better achieve happiness in both “law land” and our lives. To read the latest articles visit the links in the images below. How to be happy in law and life! The law student edition by Kiarah Grace Kelly and Hannah Trotter. How to be happy in law and life! The happy lawyer's edition. Become a blog contributor for Happy Lawyer Happy Life! Are you a master blogger with a voice? 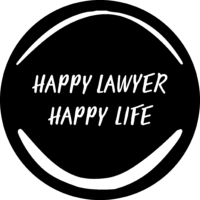 I am looking for enthusiastic contributors for Happy Lawyer Happy Life “The Blog” to further open the positive dialogue within the legal community nationwide. We are rolling out both a law student and happy lawyer edition. Be between 900 and 1200 words. Sit within the themes and topics of Happy Lawyer Happy Life, including innovation in law, wellness, personal stories, helpful tips and finding happiness in law and in life. Be in the style of top-tips, how to’s or your experiences. Have a positive, uplifting, useful and supportive message for readers. Be provided to us once a quarter. You will have the chance to share your message with our community. The chance to build your professional profile. Be a part of our exclusive bloggers’ community. Exposure to a target audience of lawyers. The opportunity to connect with other lawyers nationwide. If you are interested in joining our blogging team, fill out the blogging contributor’s contact form and we will reach out to you with more information and our blogger’s agreement.